Hair fall is common in everyone and it is normal if 50-100 hair strands fall per day. But hair loss happens when frequent falling of hair results in thinning of the hair in the scalp. Losing hair fast may not only be a disease but it’s also due to heredity, aging or changes in the hormones. • Hairstyles: Everybody wants their hair to look good by trying different kinds of hairstyles that may look stylish, but there are some hairstyles that tend to pull the hair so tightly that they cause hair fall. • Scalp infection: Itchy scalp may be caused due to some infections like severe dandruff and ringworm, a fungus that results in red, itchy patches in the scalp and leads to hair loss. 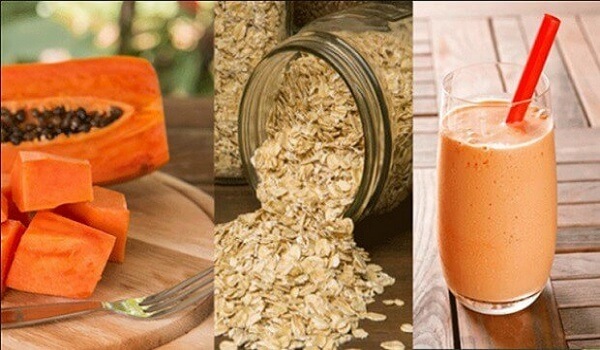 • Poor diet: Hair loss may also be due to poor diet that misses out on vital ingredients like proteins, iron, vitamins and minerals and other micronutrients. • Stress: Stress is a body reaction that challenges and sometimes disturbs the individual’s health. 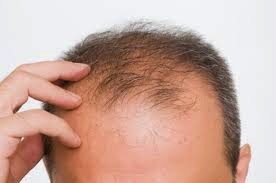 Too much of stress to the body causes the hair to fall and stop growing, which will later result in hair loss. • Cosmetics: Products that are used for straightening or coloring of the hair contain chemical compounds that can affect the hair. Even some products like hair shampoo, conditioner or serum have chemical compounds in them. Extensive usage of these can damage the hair follicles and cause hair loss. • Medication: Medication is another problem that causes hair loss. High medication intake may result in several side effects in the body that can affect the hair roots and lead to excessive hair fall. • Water: We must be aware of the regular water supply in our household. It might contain chemical compounds like magnesium, copper and minerals that can harm your hair and cause hair loss. Coconut milk: Apply coconut milk on the scalp and massage it in the hair roots. It helps in nourishing the hair and promotes hair growth. Amla: Amla (Indian gooseberry) is considered an enriching source for hair growth. Take some pieces of dried amla and boil them in coconut oil, boil till the oil turns black in color. Cool it and store it in a bottle. Before washing your hair, massage your scalp with this oil and leave it for 30-40 minutes. Wash it off thoroughly with warm water and a mild shampoo. Use this method frequently to prevent hair loss. Henna: It is a natural hair colorant and hair conditioner. Make a mixture of henna powder, one egg and a cup of curd. Mix all these ingredients well, leave it for a night and apply the henna paste on the hair the next day. Leave it on for an hour and wash with warm water. Neem: Tired of your dandruff and hair fall? Try Neem, a natural antiseptic and anti-bacterial agent, which helps in treating the scalp and hair problem without any side effect. Boil 2 cups of water and add a handful of neem leaves in the boiling water. Leave till the water turns into greenish color. Use the neem water after the last rinse of your hair wash. This will keep your hair and scalp healthy. Eggs: Eggs are a rich source of sulphur that strengthens the hair. It can be used as a hair conditioner to avoid dry or frizzy hair. Beat the entire egg and apply in the hair. Leave if for 20 minutes and wash off with cold water and a mild shampoo. Aloe vera: Aloe vera is a plant that contains vitamins and minerals, which is used for treating hair loss. The gel that is secreted from the plant when it is cut, can be used as a hair conditioner. Massage the gel in the hair thoroughly after taking a head bath, leave it for few hours and wash it off with warm water. Onions: Onion is another home remedy that can be used to prevent hair loss. Apply the onion juice in the scalp and leave it for an hour before washing your hair. Lemon: Here’s a simple home remedy you can try by using lemon juice. Apply the juice in the hair and add few drops of lukewarm olive oil or coconut oil. Massage the hair oil in the scalp, leave it for about half an hour and wash the hair well with a mild shampoo.